Many people find HVAC units pretty intimidating. After all, they are big pieces of equipment, and since they need to be fitted by a professional, most assume that any additional work, including changing the filter, also needs to be done by an expert. Others still are confused about how often they need to change their filters, and as a result, they never bother to change them at all- meaning the filter won’t work properly. This article will help clarify some of those issues and explain MERV (Minimum Efficiency Reporting Value). 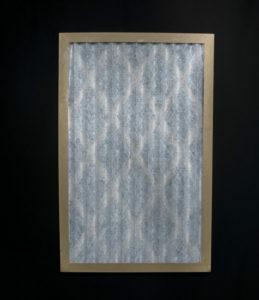 MERV is the standard by which the effectiveness of HVAC air filters is measured. The higher the MERV value, the better the filtration, which means small particles of dust and other substances are less likely to pass through the filter. MERV values range from 1 to 20, and filters rated between 8-13 are powerful enough to keep the air in your home nice and clean. Anything above that range is usually intended for use in hospitals or other healthcare facilities, so there’s no need to spend the extra money for something that won’t have much of an impact in the average home. However, filters with higher MERV ratings need to be changed more frequently to keep them working to their full potential. If you don’t change it often enough, the filter will start to become clogged, and stop filtering out particles. The recommendation is to change the filters every three months. Changing filters every two months will provide superior filtration. One exception to this rule is during the summer when the unit will be operating at full capacity. During this period, it’s advised to replace the filter every month. Measuring the size of filter needed is easy. Take a tape measure and measure the length, width, and depth of your filter. These measurements are all you need to find the right size. Changing the filter is also a simple job- just make sure the HVAC unit is turned off before you start. If you’re not sure how to do this, then it’s best to shut down the breaker to be on the safe side. Most HVAC units have the filter situated at the bottom or right-hand side of the unit. Pull out the old filter, and then slide the new one in- easy! For all your HVAC needs contact Good Deals Cooling and Heating at 215-947-1166.